Pepperdine University will host commencement ceremonies for the Graziadio Business School, School of Public Policy, Seaver College, School of Law, and Graduate School of Education and Psychology on the Malibu campus throughout April and May. The ceremonies will feature an impressive lineup of speakers who will address the graduates as they step into the next chapter of their lives. Stasia Washington is a senior vice president and managing director with First Foundation, a financial services company. Washington creates customized wealth growth and enhancement plans for high-net worth individuals and also helps endowments, nonprofit foundations, and exempt organizations with asset management and strategies to reach their financial goals. Lawrence J. Mone is the president of the Manhattan Institute, which he joined in 1982 as a public-policy specialist. Mone worked his way up the institute’s ranks to project manager and then vice president, taking the helm as its fourth president in 1995. He will retire from the institute this year. Mone is devoted to the causes the institute promotes: free markets, free societies, and the rule of law. During his 24-year tenure as its leader, the organization has consistently sought to put policy prescriptions into practice. It has worked to rezone much of New York City’s long-neglected industrial spaces and, at the request of the New York Police Department, the institute launched a new policy division to advise it on cutting-edge counterterrorism strategy following the attacks of September 11. The institute collaborated with then mayor of Newark Cory Booker to implement a new approach to prisoner reentry, based on the principle of connecting former offenders with paid work immediately upon release. On the state and national levels, the institute has also led on policy changes in the areas of school choice and charter schools, the marketplace for healthcare, and the role of law enforcement in our society. 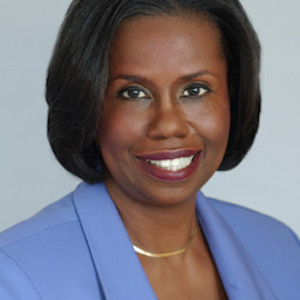 Mone earned a bachelor’s degree from the College of the Holy Cross and a master of arts in public policy from the University of California, Berkeley, in 1982. 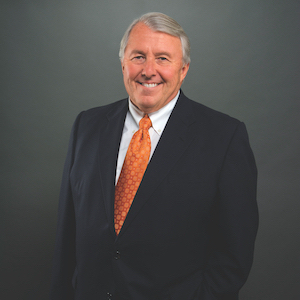 Andrew K. Benton, Pepperdine University president and chief executive officer, joined Pepperdine’s central administration team in 1984. Before becoming president in 2000, Benton served in a number of executive leadership roles, including vice president for administration, vice president for university affairs, and executive vice president. Among his many achievements as president are the successful completion of the Campaign for Pepperdine, which raised $470.8 million from more than 49,000 donors. He also shepherded the approval of Pepperdine’s Long Range Development Plan and the development of the Drescher Graduate Campus. Ajit Pai joined the Federal Communications Commission (FCC) in 2012 and has served as its chairman since January 2017. During his tenure with the FCC, Pai has been an advocate of limited government involvement in online services, and he has proposed a plan to limit government regulation of companies seeking to compete in the broadband market. One of his major concerns is public safety, and Pai has taken action to ensure that consumers can reach emergency services whenever they call 911 and called on the agency to help law enforcement combat the challenges posed by cellphones unlawfully in our jails and prisons. Pai has also fought to eliminate waste, fraud, and abuse in federal programs, and he was the force behind the end of government assistance to corporations in a recent major spectrum auction. 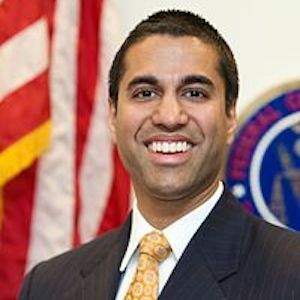 Before joining the commission, Pai was a partner at Jenner & Block, LLP, and he served in a number of federal government positions, such as deputy general counsel, associate general counsel, and special advisor to the general counsel at the FCC; and as chief counsel to the chairman of a subcommittee of the Senate Judiciary Committee. Pai graduated from Harvard University in 1994 and from the University of Chicago Law School in 1997, where he was an editor of the University of Chicago Law Review. Jessica Henderson Daniel is an associate professor of psychology at the Harvard Medical School and an adjunct associate professor in the clinical psychology program at Boston University. She also serves as the director of training in psychology with the Leadership Education in Adolescent Health training program at Children’s Hospital in Boston. 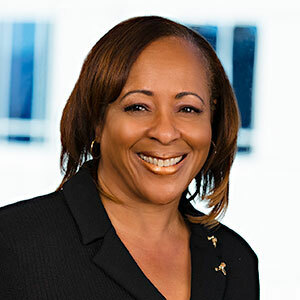 Daniel is a leader in her professional community; she is currently a member of the board of directors of the American Psychological Association, having served as the group’s 2018 president. Daniel’s career has focused primarily on training and mentoring, and she successfully advocated for Massachusetts regulations requiring psychologists to be instructed and trained about people of color, the only state in the country with such regulations. She has published several articles on mentoring and diversity-cultural training, and her contributions to the field have been recognized with awards from Harvard Medical School, the American Psychological Association of Graduate Students, and the Society for the Psychological Study of Ethnic Minority Issues, among many others. Daniel received her BS from Fayetteville State College, and an AM and PhD from the University of Illinois-Urbana. Frank Baxter is founding chair of the Alliance for College Ready Public Schools. 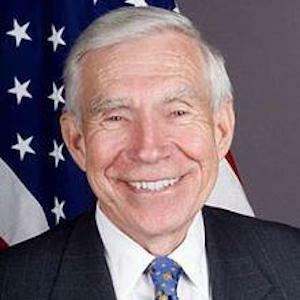 He served as the United States Ambassador to Uruguay under George W. Bush, from 2006 to 2009. Since 1986 Baxter has been an activist in improving K-12 education for low-income students, and began work as a supporter of charter schools in Oakland and Los Angeles in the 1990s. In 2004 he was one of the founders of the Alliance for College Ready Public Schools, a high-performing Los Angeles charter management organization that now has six middle schools and 15 high schools serving 9,500 inner-city students. He has served as chair and co-chair since the organization’s inception. In 2010 the alliance started a transition to blended learning, a model that integrates teachers with 21st-century technology. Now seven schools use the blended learning alliance school transformation program. Baxter is chair emeritus of the global investment bank Jefferies Group Inc. 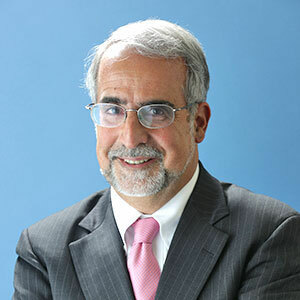 He has also served as board chair for After-School All Stars, board member of the California Institute of the Arts, a member of the Governor's Commission for Jobs and Economic Growth, vice chair of the Los Angeles Opera board, and chair of the executive committee of the Los Angeles Museum of Art. Baxter was also a trustee for the University of California, Berkeley Foundation and the I Have a Dream Foundation, Los Angeles Chapter. He is a former director of the National Association of Securities Dealers, served on the NASDAQ board, and was director of the Securities Industry Association. Baxter graduated from the University of California, Berkeley, with a bachelor’s degree in economics with honors in 1961. Before college, he enlisted in the Air Force for four years. He is the recipient of the Bet Tzedek, House of Justice and the Getty House (Mayor's Residence) City of Angels awards, and is the winner of the 2018 Savas Award for Public-Private Partnerships presented by the Reason Foundation.